Between Timber Framing and modern Platform Framing was an intermediate style of framing a building called ‘Balloon Framing’. This method of framing was radical for its time. Started around the 1830s and steadily gaining in popularity through the end of the 19th century Balloon framing ushered in a new generation of building supplies and builders who benefited from and drove the advent of ever cheaper machine made nails, consistent milled lumber, and more efficient transportation methods (Rail box-cars etc). Beyond the technological advancements in the materials production and transportation this building method caught on quickly as buildings framed in this manner could be built cheaply with non-skilled labor and common nails and tools, thus farmers and do-it-yourselfers could build what they needed with a far shallower learning curve when compared to all the advanced joinery traditional timber framing required. This was invaluable to frontier areas where traditional carpenters and joiners were in short supply. 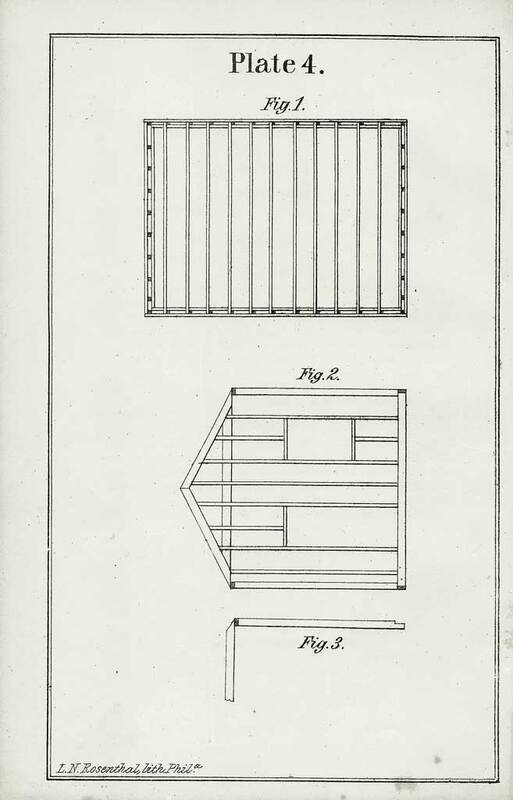 A great period resource for information about Balloon Framing is William Bell’s “Carpentry Made Easy: The Science and Art of Framing”. While Bell was not the first author to extol the virtues of Balloon Framing he may have been one of the most prolific. His ‘Carpentry Made Easy’ book was published continuously from 1858-1904. 46 years is quiet a testament to the information he provided. The book’s longevity is largely due to how the information is provided. Bell starts with a detailed section on basic math and geometry for carpenters and the moves into framing. He covers Balloon Framing for homes and modest sized buildings and moves on to heavy timber framing for industrial buildings, bridges, spires and the like. Bell was a trained carpenter and joiner and speaks the reader in a clear and concise way that was agreeable to most carpenters. Bell goes into technical detail but did so in such a way that any reasonably skilled carpenter could take this information and apply it to the project at hand. His words still resonate well today — in fact using his descriptions I was able to build a detailed 3D model in Sketch-Up based on his instructions for how to build a Balloon Framed structure. (See Figures 1 and 5). I’m sure that many a house carpenter had a dog-eared copy of this book in their toolbox and regularly referred to it over the years. How fast did this transition happen? Like most major shifts in an industry the transition from Heavy Timber Framing to Balloon Framing did not happen over night. The word had to get out, it had to be evaluated, the supplies had to be ready and a host of macro-economic pressures had to come together in order to facilitate this change — a strong need to build economical housing for an exploding population etc. Like most things, some isolated or rural areas clung to the old ways for longer periods and some areas were more willing to try out these new techniques. Even cutting over in terms of technique was an evolutionary change. 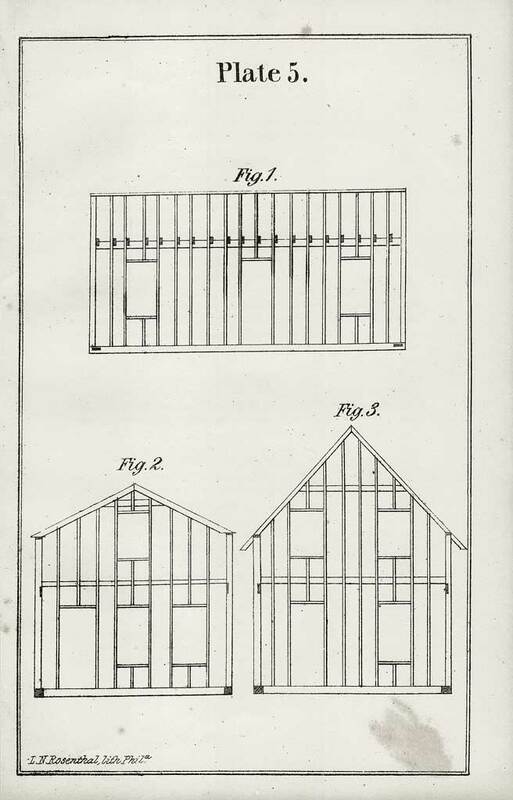 If you look closely at Figure 4 above you’ll see that the house shown there has Balloon Framed walls with a heavy timbered sill, which the author notes as the preferred way to go if heavy timber is available, as opposed to Figure 2 which shows a more traditional balloon framed sill made from 2x framing elements. 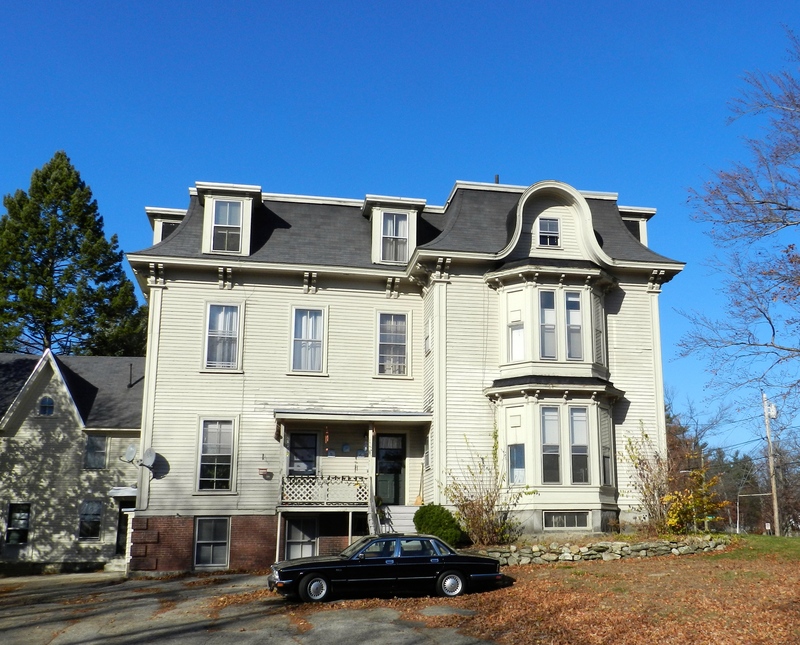 In broad terms this building method started in the 1830s, crescendo-ed during the 1880s-1930s giving way to modern Platform Framing which was an evolutionary advancement that built upon the strengths and lessons of this movement. Balloon Framing and it’s relative efficiencies greatly improved the living conditions of many Americans and others of modest means and the burgeoning middle class. With Balloon Framing, you framed an entire wall at once from sill to top plate, thus requiring longer framing members. Once the wall was standing you needed to have ladders and scaffolding in order to ‘hang’ the upper floors from the ledger plates and studs. This required more labor compared to modern platform framing where each level builds upon the lower level, thus requiring less labor, scaffolding and smaller framing members. While the above items are negatives for this system of framing the final nail in it’s coffin was how it performs in a fire. The inter-stud wall cavities that run from sill to plate worked like a chimney flue and helped to rapidly spread fire throughout a Balloon Framed building. To counter this, fire blocking can be installed between each floor, but this was labor consuming to install and not quite as good as the fire resistance you’ll see in a Platform Framed building. Even today when filling out an application for homeowners insurance you’ll often see questions related to this kind of framing. Around the 1930s the death toll and property loss data was starting to add up and folks looked to rectify the situation. 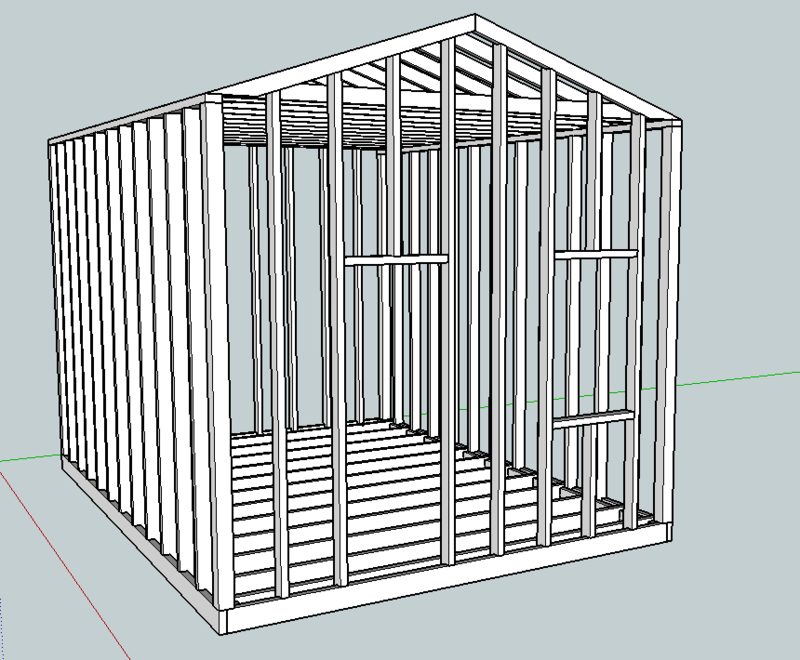 The solution was Platform Framing. 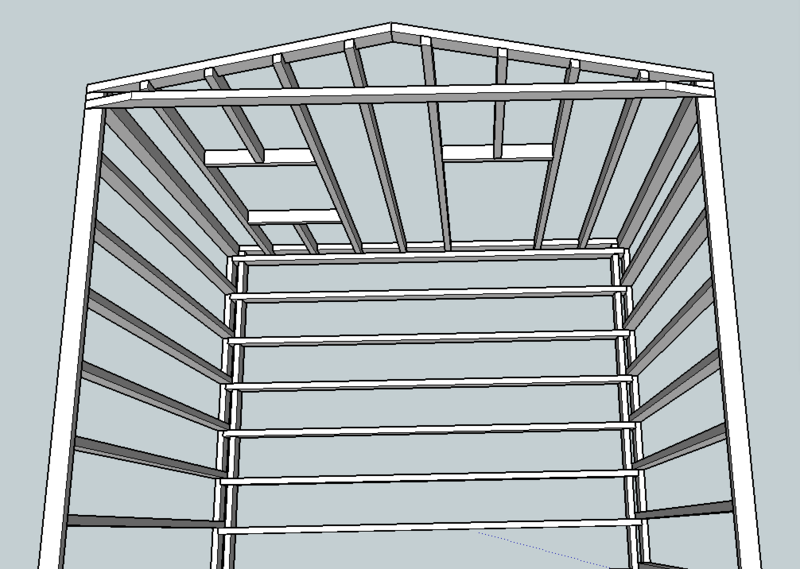 In a nutshell you’d build a platform of sill, joists, rim joists and sub-flooring, use this as a platform to build the walls for one floor, you’d tilt up and nail off the walls, then build another platform on top of that until you top out your building. This method required less labor, shorter framing members and by breaking up the wall cavities at each floor provided better fire resistance. After World War II the post war building boom accelerated the need for even more housing and faster build completion times. At this time we started to see the introduction of studs 16″ to accommodate sheet goods (Plywood and later OSB) in regular sizes as a replacement for more labor and material intensive traditional sheathing. And in a similar manner vinyl siting replaced genuine clapboards etc etc until you get to present day building materials and practices. We don’t often see or hear much about Balloon Framing today as it has fallen out of favor in the building community, but it’s impact can be felt today in any Platform Framed structure that benefited from all the lessons learned by this earlier incarnation of efficient home building. I hope that the next time you are examining the framing of a Balloon Framed structure you’ll take a look and see what lessons it can teach you. P.S. If you’d like to read William Bell’s “Carpentry Made Easy: The Science and Art of Framing” (1858) you can get a copy from the Toolemera Press here. It was a great read with interesting sections on timber framing, compound roof joinery, bridge-building, spire making and other interesting building topics above and beyond the Balloon Framing and carpenter’s geometry I mention in this article. ** Plates 4 and 5 of from Bell’s Book are provided via Gary Roberts of the Toolemera Press and used with his permission.